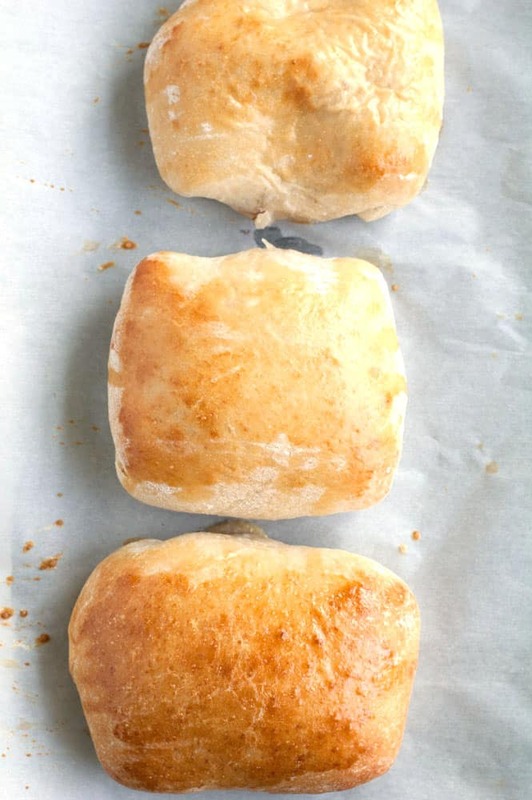 Ham and Cheese Pockets are a home made, easy to assemble take on the freezer favorite. Filled with honey ham, cheese and mustard. If you love an easy recipe for dinner raise your hand!! I am always on the look out for something quick but delicious to make during the week. 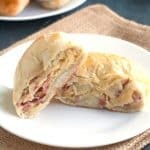 These ham and cheese pockets are a great choice when you are in need of something speedy. Many nights I just need to get something on the table quick before we head out to after school activities. Most of the time I have either turkey or ham and cheese in the fridge. I like using the pizza dough because it gives the pockets a nice crunchy but soft texture. To make these pockets, stir together chopped deli ham (I like honey ham), shredded Swiss cheese and Dijon mustard. Cheddar would also work well if you are not a Swiss person. Roll out refrigerated pizza dough and cut into four rectangles. Place a quarter of the mixture in the center of each rectangle. Fold the short sides in on top of the mixture and then fold the long sides over making a “pocket”. Place each pocket seam side down on a prepared cookie sheet. Brush the tops with a beaten egg and bake until golden brown. I like serving these pockets with a salad for a complete meal. 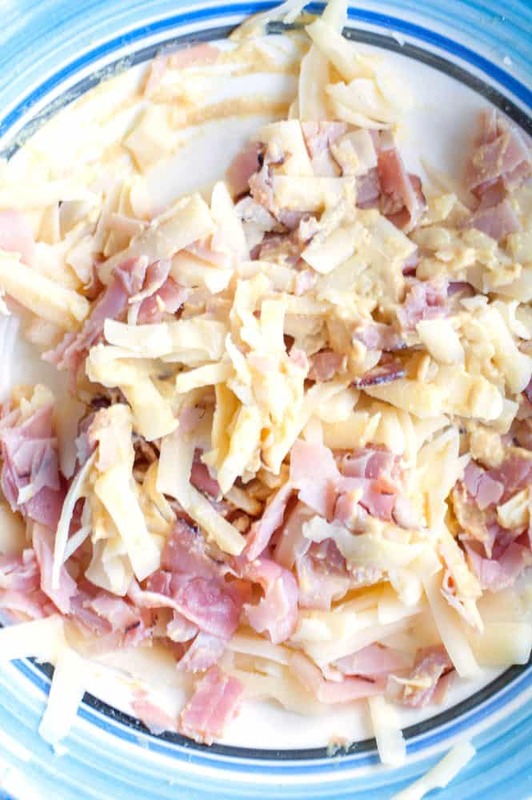 In a large bowl, mix together Swiss cheese, ham and mustard. Prepare a cookie sheet pan with parchment paper or by spraying with non-stick cooking spray. Sprinkle flour on a clean surface and roll out pizza dough. Cut dough into 4 rectangles. Put 1/4 of the ham mixture on the center of each rectangle. Fold shorter sides of rectangle in on mixture. Next fold long side over forming a pocket. These sound awesome and I’m positive my husband will love them too. After baking I’m wondering if I could stick them in the freezer for easy pull out and microwave lunches. I love freezer cooking for all the time it saves me.